Here are a few different print, radio & video interviews and stories and reviews and such . 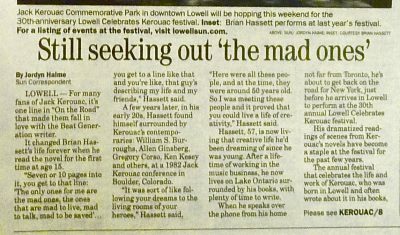 . .
Here’s the front page above-the-fold story in the hometown paper Jack used to write for on occasion, the Lowell Sun, that we were all happily surprised to discover when we pulled into town for the Lowell Celebrates Kerouac festival (Oct. 3rd, 2018). 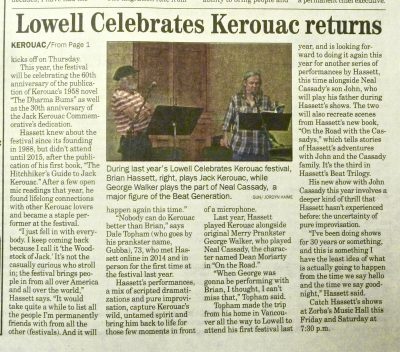 Or here’s what the Woodstock Times had to say of the show & books in the town that spawned the festival . 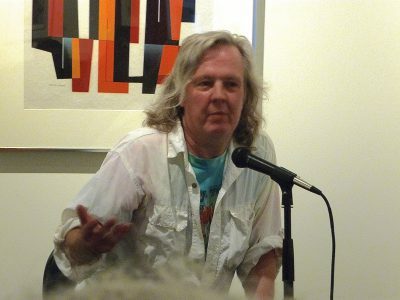 . .
Here’s a Sept. 15th 2018 interview with Mike Flynn at WUML in Lowell about the upcoming LCK (Lowell Celebrates Kerouac) and the meaning of life and tips n tricks for writing and all things Beat & Prankster and such . 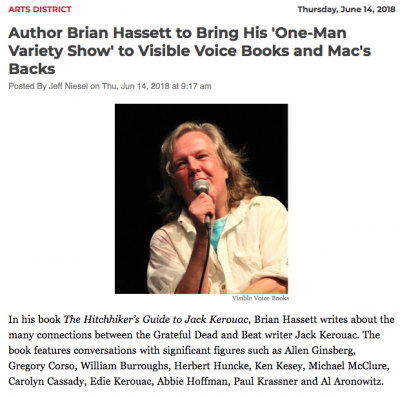 . .
Here’s an August 2018 interview from the very cool AMFM Magazine about how The Hitchhiker’s Guide … got written, plus Kesey & Kerouac & the Pranksters & all that jazz . 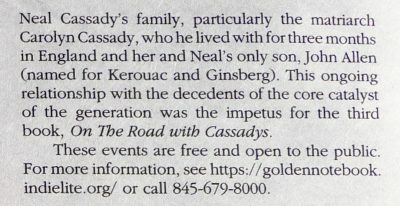 . .
Here’s a 2018 interview for the Cleveland Scene magazine about the writing process, Kerouac’s writing process, the live show process, the Sept. 2018 On The Road With Cassadys book, working with Bill Graham and all sorts of other stuff . 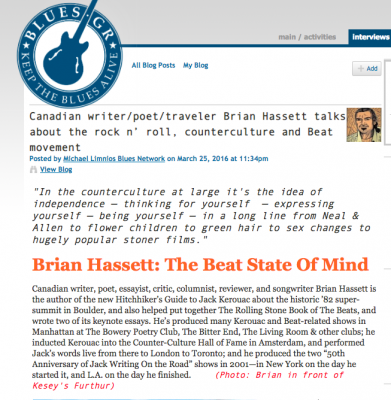 . .
Here’s a print interview with Michael Limnios at the great Blues – Greece magazine & website about the most important life lessons & advice, life-changing moments, the meaning of ‘Beat,’ its impact on culture, its connection to rock n roll, and lots more . 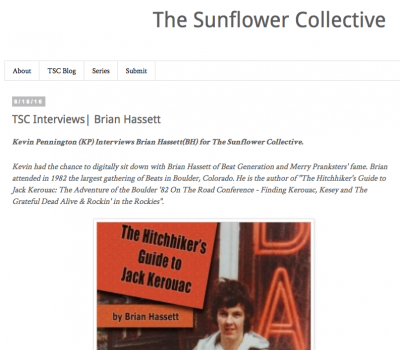 . .
Here’s the Kevin Pennington interview for The Sunflower Collective about the mindset behind On The Road and the Beat Generation, and how it manifests today, and the Merry Pranksters and the Acid Tests, and the Beat Museum’s big Beat Shindig and a whole lot more . 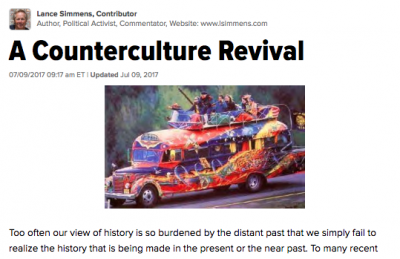 . .
Here’s Lance Simmens’ piece in The Huffington Post . 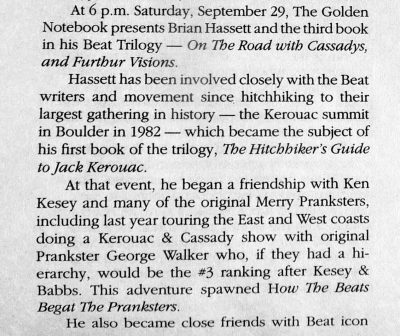 . .
Here’s a review of The Hitchhiker’s Guide to Jack Kerouac in Beat Scene magazine (#75, Early Summer 2015) . . .
Here’s the new book On The Road with Cassadys in Beatdom. 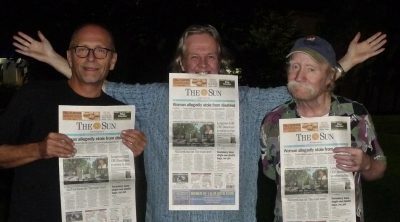 Here’s a piece about George & my tour in The Oakville Beaver in Canada . 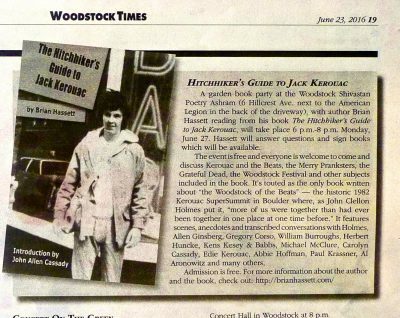 . .
Or here’s this from the Woodstock Times when I first appeared there with the first book . 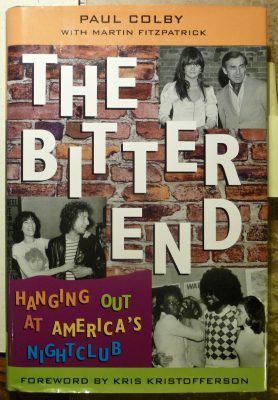 . .
Here’s where the founding owner of the historic Bitter End club on Bleecker Street in Greenwich Village New York City wrote about me and my shows in his autobiography . 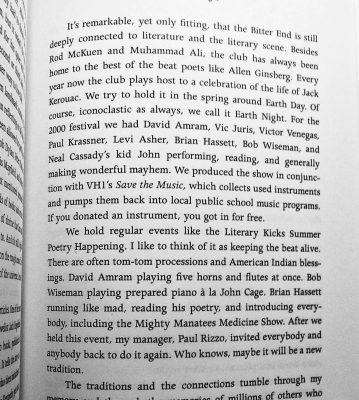 . .
Here’s where I interview Beat legend Gerd Stern at The Beat Museum’s Shindig in San Francisco in 2015 about the Joan Anderson letter that He Did Not Lose, and Allen Ginsberg & Jack Kerouac & Neal Cassady, and the whole San Francisco scene back in the ’50s and ’60s, and his pioneering multimedia art . . . . . .
Here’s the lively & funny Cassady panel discussion at The Beat Museum’s big Beat Shindig in 2015 with Al Hinkle, Jami Cassady, & myself, moderated by Levi Asher (now Marc Stein) . . .
Here’s a funny wild crazy Adventure Tale video interview response for filmmaker Noemie Sornet’s On The Road film project . . .
Here’s a bunch of live video performances in various media. 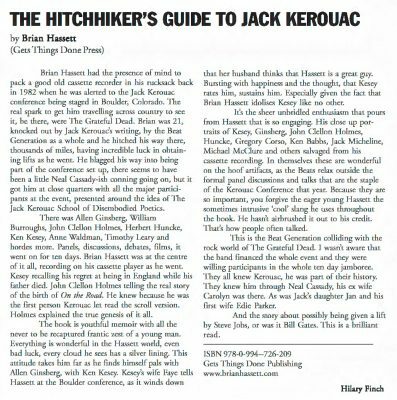 Here’s a wave of reviews and comments on The Hitchhiker’s Guide to Jack Kerouac. 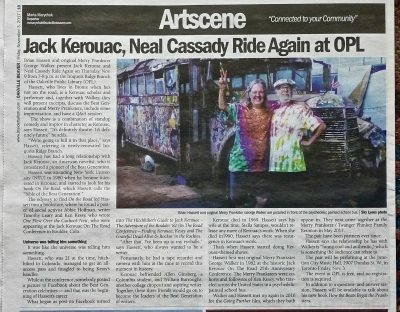 Here’s the next wave including a bunch of original Merry Pranksters. 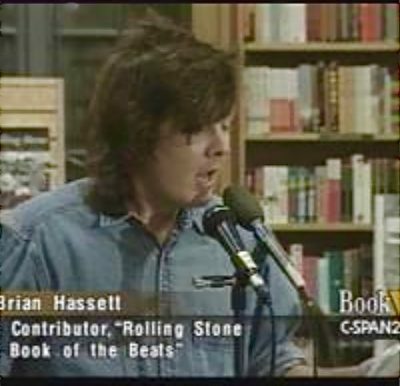 Here’s some author / performer background. Good idea making this. You should run my web site ha ha. 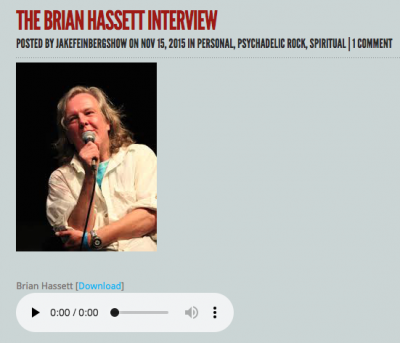 Thanks for posting my interview with you, Brian.